Xiaomi MI 5s 64GB happens to be a new updated variant of the Xiaomi MI 5. It comes in a box that looks quite muted in plain white other than the regular brown boxes Xiaomi provides. Opening it up we’ve got a Xiaomi MI 5S 64GB itself. The build a super furbished plastic. The box also contains a sim ejector tool, a travel adapter and a USB type-c cable. Much has changed in comparison to the MI 5 itself. Xiaomi MI 5S 64GB becomes the latest prawn to remove the headphone jack. For this it got a MI Logo to the Front’s gone and there is a minor cosmetic change with the sensor. The 4 megapixel large pixel size front-facing camera and the 5.1 5 inch full HD IPS LCD display remains unchanged. At the bottom the physical home is replaced by a capacitive key Kara like the one found on the MI 1 plus 3 .The fingerprint technology has been upgraded. There is an ultrasonic fingerprint scanner which is more accurate and work through thin membranes. For the back of the phone we now have metal instead of clasp. The phone’s also a millimeter thicker that results on the camera being a little recessed. Other changes to the build include the speaker holes at the bottom and the keys. The camera has also been revamped. Xiaomi MI 5S 64GB is not supposed to lower a solution camera 12 megapixels but the megapixel count doesn’t convey the entire story. This is the same sensor as seen in the Google pixel Sony IMX 378. The aperture is f/2 window and the pixel size is 1.5 5 microns. But still Xiaomi MI 5S got other similarities with the MI 5. The chip underneath the Xiaomi MI 5S is powered by the 64-bit quad-core Snapdragon 8 to 1 chip. This is the chip that has the same clock speed as the Snapdragon 820 but it’s supposed to be 5% more power efficient. 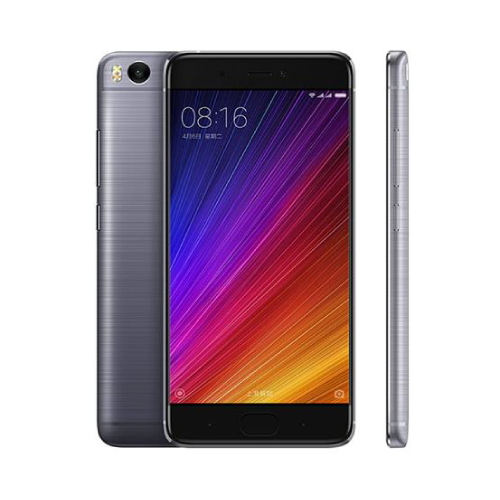 Xiaomi MI 5S comes in 64GB of storage and 4GB of RAM. All this is powered by a 3200mAh hour battery. MI 5S also picked the UI 8 built on top of Android 6 Marshmallow. Generally the Xiaomi MI 5S feels snappy and responsive. Thanks to its fast chip-set make.